J-Net, the Japanese language network of the Institute of Translation and Interpreting (ITI), is holding an interpreting workshop in London in April. For our speakers, we invited 3 conference interpreters, who are all experienced and highly regarded professionals. This workshop will be a useful and practical event for any practicing interpreters! The full-day program consists of four sessions and covers a wide range of contents. This is a rare opportunity where all these speakers, as well as fellow Japanese language interpreters based in Europe, get together. The target language pair is not limited to English <-> Japanese but can be, for example, French <-> Japanese, German <-> Japanese or Spanish <-> Japanese! As long as Japanese language is involved, interpreters dealing with any language pair should find all of the sessions very useful. There is also a networking dinner planned after the intensive workshop. Again, this is a precious opportunity for you to talk to the speakers, chat with your colleagues and meet other fellow interpreters who all work independently in their day-to-day jobs. This workshop is designed for practising interpreters, those who have just started their interpreting career, students who are currently studying and wish to become a professional interpreter in the future and those who have not received formal training before but have some experience of interpreting and would like to improve their skills. If you are one of these people, don’t miss out on this great opportunity! To register for the workshop, please contact Rie Hiramatsu at hiramatsu@rie.london. *A CPD certificate (PDF) will be emailed to those who wish to obtain one. Please note that the certificate will be issued by J-Net and does NOT contain any of the collaborating organisations’ names. Abstract: This session will provide a broad-stroke introduction to AIIC, to AIIC VEGA (its newer members arm), and to markets for JP-DE, JP-FR and JP-EN interpreters in Europe & Japan. 40 minutes for the talk; 20 minutes for Q&A. * THIS SESSION IS SPONSORED BY AIIC VEGA. Presenter’s profile: Andrew MIGITA-MEEHAN. AIIC Member. Active in AIIC Training of Trainers, AIIC VEGA (mentoring & outreach) and AIIC Distance Interpreting Survey Working Group. University of Geneva, Master of Advanced Studies in Interpreter Training. University of Arizona, Bachelor of Science in Electrical & Computer Engineering, biomedical engineering program. Instructor at interpreting schools & universities of Japan. Representative matters include Japanese booth interpreter for the Olympics working under the Chief Interpreter, and regularly working for Japan’s Ministry of Internal Affairs and Ministry of Land Transport and Infrastructure. Very experienced simultaneous interpreter, working at EU, UN and various governmental meetings including G8’s, corporate meetings and other international conferences. Extensive experience in consecutive interpreting too. Covers a wide variety of topics such as finance, including IR meetings (both deal and non-deal), regulations, public administrations, corporate management, environment and diversity. She also interprets in medical and scientific fields including official GCP/GMP inspections conducted by PMDA and medical conferences, electronic systems and computer science. She also works in legal field working with lawyers and sometimes at courts for both criminal and civil cases, illegal cartel prosecutions, patent litigations and mediation cases. Abstract: This session will review the fundamentals of business interpreting from preparation to what you will need on the day, using a complex but typical matter as an example. Time permitting, we will review how to work effectively as a freelancer based outside of Japan. Abstract: The presenter is trained not only as an interpreter but also as a broadcaster. She will talk about voice projection and elocution training for interpreters, and also introduce some exercises that the audience can take home with them. Presenter’s profile: She works as a freelance interpreter and voiceover professional, includes BBC News video-on-demand, BBC Radio 4 and Radio Monocle. previously she worked as an in-house interpreter/translator on TV amongst others in Tokyo before moving to London in 2007. She received formal interpreting training in Japan and at London Metropolitan University. She is a Member of ITI (The Institute for Translation and Interpreting in the UK) and currently the Coordinator for “J-Net” (the Japanese language specialist network of ITI). Although some exercises will take place in this workshop, please note that no interpreting devices such as booths or headsets are used. Lunch is NOT provided at the venue. Please bring your lunch from home or alternatively there will be time to buy your lunch from a nearby shop. Refreshments will be served twice on the day. 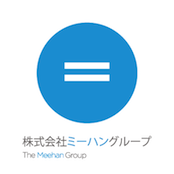 Tea/coffee during the registration are kindly provided by the Meehan Group (the firm owned by Mr. Andrew MIGITA-MEEHAN) whereas drinks for the afternoon break are covered by J-Net. If you wish to join our post-event party, please let us know in advance. The venue is within walking distance of the university campus. The details of the party will be shared with the participants during the workshop on the day. If you have any dietary requirements (e.g. food allergy, vegetarian), please let us know in advance. Although we cannot guarantee to meet your requirements 100%, we will inform the restaurant about the requirements ahead of the party. If you wish to attend the workshop, please register with us by email in advance. You will then receive a copy of confirmation (PDF) from us ahead of the event, which you will need to print out and show us at the entrance of the university campus on the day. Alternatively, you can show your booking confirmation with your mobile device or PC. Please pay the workshop fee at the reception on the day. If you are going to pay in cash, please prepare the exact money. If you need to cancel your booking, please let us know by email as soon as possible. There are only limited spaces available and we would like to accommodate as many people as we can. If you cancel your booking less than 4 days before the workshop or if you fail to cancel your place in advance and do not attend the workshop on the day, you will be charged the full amount of the workshop fee as a penalty after the event. This entry was posted in Events by . Bookmark the permalink.